Belfast Giants bounced back from their defeat by Edinburgh Capitals on Saturday with a comfortable 5-1 win over Fife Flyers in the Challenge Cup. Cody Brookwell scored for the visitors after just 10 seconds and Kevin Saurette doubled the lead. Dustin Whitecotton and Colin Shields netted to make it three Giants goals in the second period. Saurette completed his double before Matt Reber's late consolation as the Giants moved top of Group A. 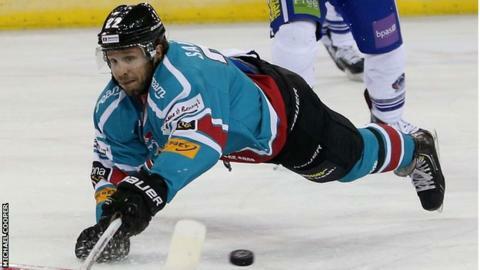 The Giants suffered a surprise 5-3 defeat by the Capitals in a league and Challenge Cup encounter. It was the Elite League's top versus bottom but Belfast lost out despite a hat-trick from Evan Cheverie. The Giants are back in action next weekend with a double-header against Coventry Blaze in England.